Shri Gajanan Maharaj of Shegaon is one of most important name in the galaxy of Saints.Shree not only revived spiritual ideology but also enabled the common people in material world to follow the path of spirituality. Through his incarnated life, he miraculously proved the supreme power of Almighty and persuaded the masses to spend time in ‘Harinam’ through Wari and Dindi. By associating the common people with spirituality, Shree had shown them the path to make life more meaningful. Keeping this noble mission of Shree in mind, Sansthan had been doing the work in spiritual field. Sansthan is not only vigilant to preserve and promote ‘Warkari Sampraday’ but it produces many Warkaris of the future through the incomparable curriculum of Sansthan’s. 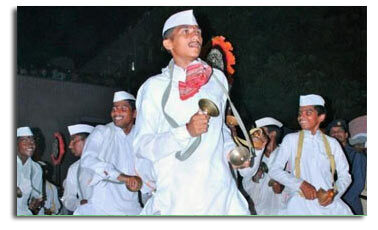 Warkari Shikshan Sanstha. The sincere efforts and planning in this regards has given fruitful result to Sansthan’s contribution in spiritual field. Sansthan’s work in spiritual field has following features. Shri Gajanan Maharaj Sansthan’s Warkari Shikshan Santha was established in 1967 by the honable and noted personality in this field- Hari Bhakta Parayan Shri. Mamasaheb Dandekar. • To spread and promote philosophy of Saints. • To promote moral and ethical education on the society. • To persuade the society to Bhagawat Bhakti (Faith and devotion to God and religion). • To kindly patriotism and respect for mother tongue. • To inculcate good qualities and free the people from bad habits. • To promote virtues and fraternity. 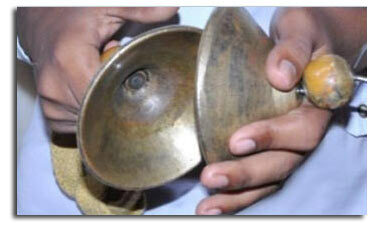 • To give contribution of Warkaris for social welfare through Pravachan and Kirtan. • For the age group 14 to 20 years. • education - 8th to 10th class pass. • Period of Admission: April to May (Every year), After Shri Ram Navami Utsav. • The candidate should be from well - cultured family, having great interest in spirituality. • He should have a good moral conduct. 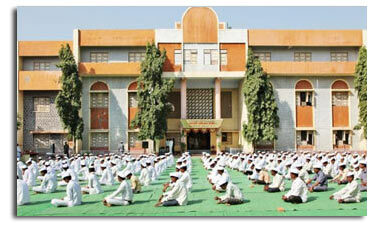 Sansthan provides accommodation, Food, Uniform, Granth, Stationary etc free of cost to the admitted candidates. A systematic education and training in all above areas is given. The vocational training is also given side by side as a source for earning for Warkaries for future life. The well trained 10 teachers are deputed in this regard. Bi-annual two examinations are conducted every year. After successful completion of 4 years course, the candidates are awarded certificates from Sanstha. Presently 80 students are acquiring warkari Shikshan and bee promoting warkari sampradaya by going in different corners of the society. Totally 4626 students have acquired education in this Sanstha from 1967 to 2018. out of this 200 are excellent Kirtankars ad 500 students are outstading pravachankaras and Mrudang Wadaks. The activites in sansthan according to Warkari Sansthan. on every Thursday and Dashami 'Shree's' Palkhi Mandir Parikrama is organized from a 5 to 6 pm. Shri Pragat Din, Shri Ramnavami, Shri Punyatithi Utsav are mainly celebrated in a grand manner in Sannsthan. Similarly Shri Navaratra Ustav, Shri Janmasthami Ustav, Shrimat Bhagwat Saptah, Shri Adhik Mass, Shri Shravan Mass and important religious festivals of Gods and birth and death anniversaries of saints are also observed in Santhan. 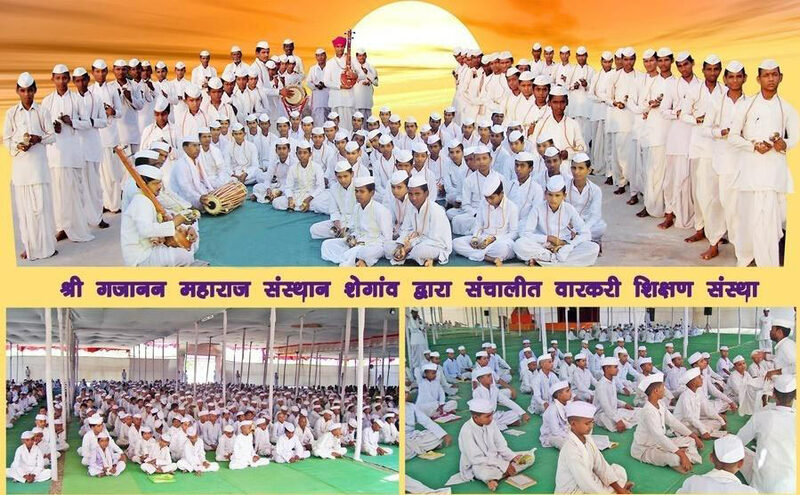 Approximately 200 kirtans, 365 pravachans, 40 other occasional pravachans and Kirtan- Pravachan through and the month in adhik and Shravan Mass are organized in Sansthan.